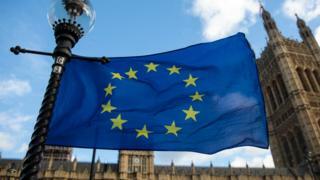 A cross-party group of pro-EU MPs says the promise of a "meaningful vote" for Parliament on any Brexit deal should be enshrined in law. Tory former attorney-general Dominic Grieve will table such an amendment to the EU Withdrawal Bill. The All-Party Parliamentary Group on EU Relations supports the move, urging backbenchers to put "the national interest" above party politics. The amendment will be debated in the House of Commons on Tuesday. In a joint statement, senior figures from the parliamentary group - co-chaired by leading Remain-supporting MPs Chuka Umunna, from Labour, and the Conservative Anna Soubry - told the Observer: "It has been said that in the EU referendum last year, the British people voted to 'take back control' of our laws. For many, that meant a powerful reassertion of parliamentary sovereignty. "Members of all parties have already provided valuable scrutiny... but little of that will matter unless we can have a truly meaningful vote on the withdrawal agreement the government negotiates with the European Union." They added: "We understand the pressures colleagues face to vote 'the right way'. [But] let us stand up for the sovereignty of Parliament." On Friday, Theresa May agreed a deal with EU Commission President Jean-Claude Juncker on three key aspects of Brexit: The so-called "divorce bill", the rights of EU citizens in the UK and British citizens abroad, and the Irish border. If EU leaders agree to it at a European Council summit on Thursday, the next phase of negotiations can begin - discussing a transition deal and future trade. Brexit Secretary David Davis told the Commons in November that MPs will be allowed a "take it or leave it" vote on any final deal agreed between the two sides. However, that verbal commitment was not enough for Mr Grieve to withdraw his amendment, asking for the vote to be written into the bill. Media captionBrexit: What still needs to be worked out? Separately, former Brexit minister David Jones has suggested the UK's "divorce bill" could be much higher than figures reported on Friday. Downing Street sources said the bill to leave the EU would amount to between £35bn and £39bn. But Mr Jones, who has criticised Mrs May's deal, said the UK could end up paying a "monstrous" exit fee of up to £100bn. Writing in the Mail on Sunday, he said the deal document had no "precise figure", but it did have "a set of highly technical mechanisms we would have to follow" to work out the cost. "And those mechanisms could land us with a bill, on some estimates, of as much as £100bn - a figure EU sources were touting earlier this year," added Mr Jones. 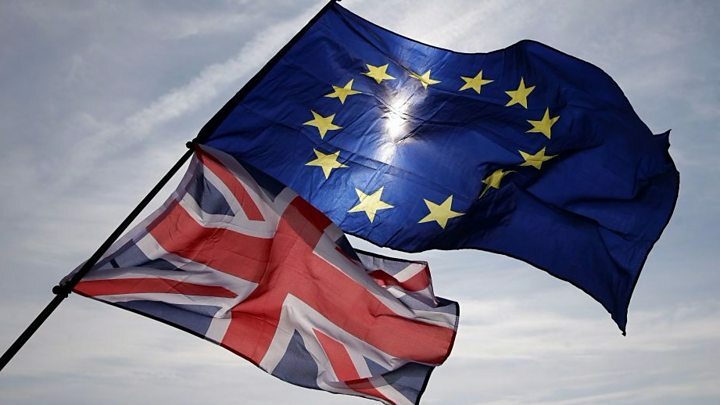 The cabinet is expected to meet on 19 December to discuss its "end state" plans for Brexit. This is two days before Parliament's two-week Christmas recess. BBC political correspondent Iain Watson said some ministers who voted to leave will "push for bespoke arrangements" for the UK after it leaves, and are "prepared to resist any blanket acceptance of EU regulations".